All diving equipment – contact Northwest Scuba Staff if you need gear. Your PADI Divemaster Training will involve two types of practical training, the internship and role playing. At Northwest Scuba we use both methods over your training period. This way you have the best of both worlds. During the Divemaster program you will have time to work on skills work with many instructors and other divemaster candidates to practice what if scenarios. This means you will be playing along with an instructor running mock in water courses and handle problems that arrive when working with students. The advantage to this is you can see where you might need some help before going in with students. The instructor then has lots of time with you one on one. The Internship involves you helping and participating in a number confined and open water diving courses, with actual students, including, Open Water, Advanced Open water and Continuing Education programs, we also like to have you help with discover local diving experiences. The advantage doing this gives you the experience of working with actual students. This means you get to see how in real life students react to problems or concerns that may arise. It shows you how experienced instructors handle students and interact with them. It shows you how different instructors set up and run the programs as well. Before you begin this experience Ken will make sure you are up to his standards and skills as well. 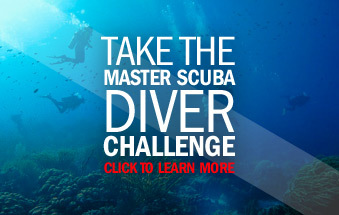 At Northwest Scuba our goal is to offer the best course for each individual candidate. So if more time is need in classroom training or skill training or working with students. We will find the best mix for each person. With many courses running throughout the year it is very easy for us to customize the best course for each person.